Cookies and cream… the most delicious combo of chocolaty goodness and creamy filling that makes a perfect addition to frosting! 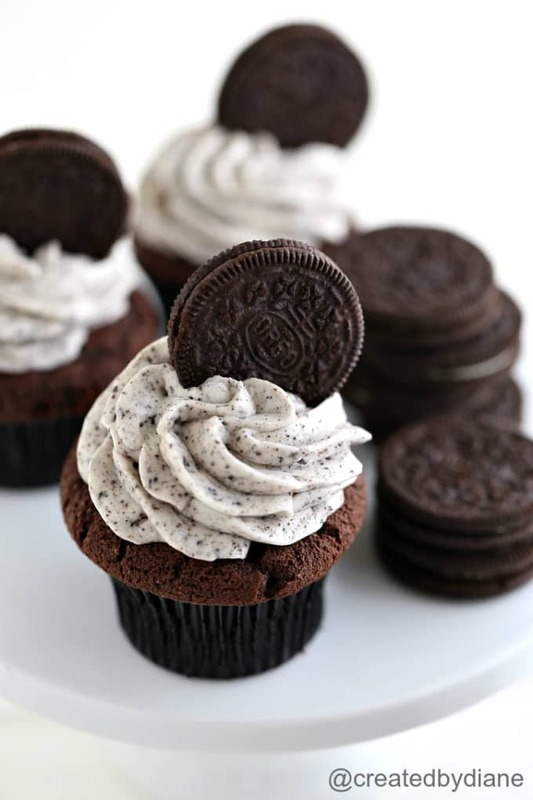 This Oreo Frosting recipe will KNOCK your socks off! 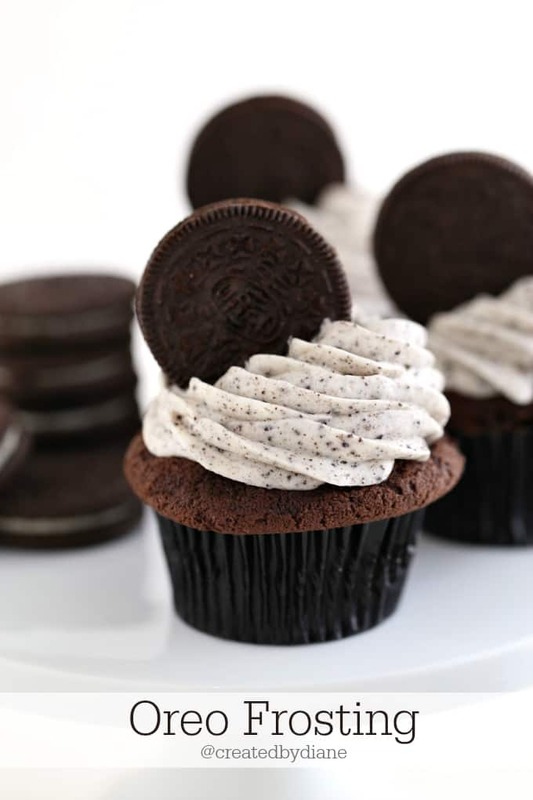 Cookies and cream and frosting all whipped up together gives cupcakes or cake a PERFECT topping! The deep dark delicious chocolate flavor is always recognizable… it’s delicious and is the key to making all cookies and cream items taste fantastic. This frosting should be applied immediately to baked goods, to avoid everyone eating it out of the BOWL!!! This is one of those irresistible flavor combos that seems to be everyone’s favorite and with good reason. 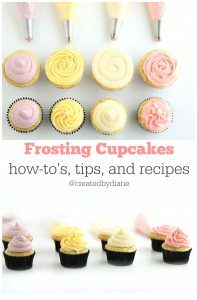 This frosting is great on top of cupcakes, to make cookie sandwiches and you can also core a whole out of the center of cupcakes and use it as a filling, oh how I love filled cupcakes! Don’t miss these really fun OREO items, fun oreo shirt HERE, a funny oreo shirt HERE, and even an oreo candle HERE. See more of my own large list of favorite items HERE. pull the cookies apart then lick the filling or eat one-half than the other. me… I like them so many ways, and I end up putting them in many recipes because the flavor is so irresistible. 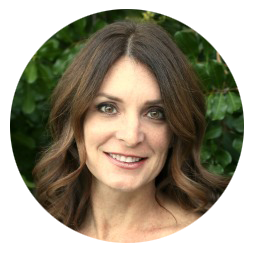 At the bottom of this post, I share with you some of my favorites! 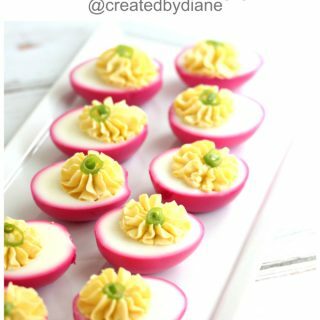 es of my latest recipes. This flavor is often loved by ALL! 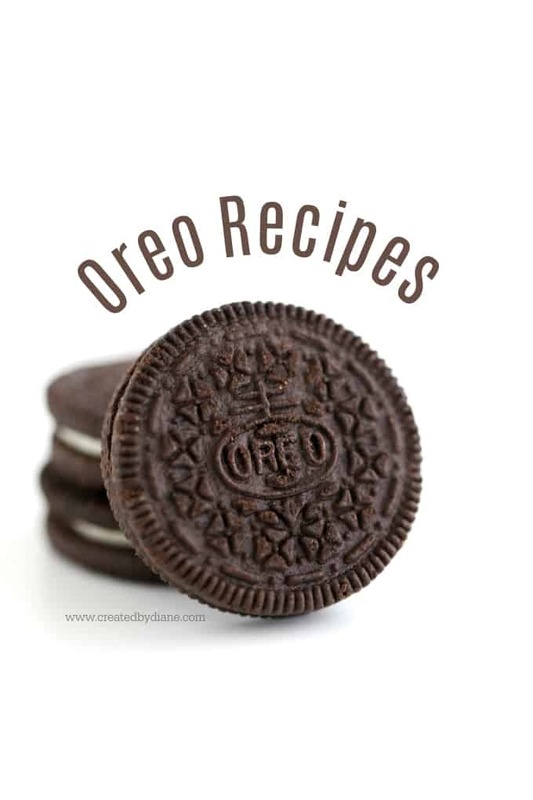 So grab some Oreos and get baking, they’ll love you for it! Oreo Frosting– this recipe is on this page… it’s yummy! Now there is only one other question, what will you be putting this delicious frosting on? I think it’ll be great on top of some chocolate cookies or on top of a brownie ice cream cake filled with cookies and cream ice cream… don’t you ?!? 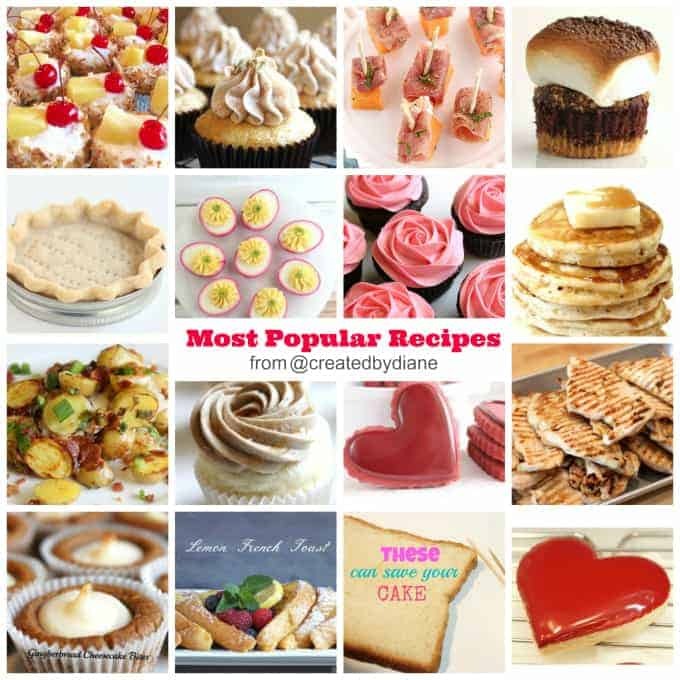 If you love cupcakes as much as I do, these are my favorites and you can decorate with the oreo frosting using the same technique. AND if you are a huge chocolate fan check out these... they are so fantastic! In a food processor place Oreos and pulse until they are chopped fine, you can crush them in a plastic bag with a rolling pin, but if you are going to pipe the frosting onto the cookies chunks of cookie won't work out well. In mixer beat butter until smooth, add in powdered sugar and heavy cream and begin on medium-low and mix until combined, then turn on high and whip until fluffy. 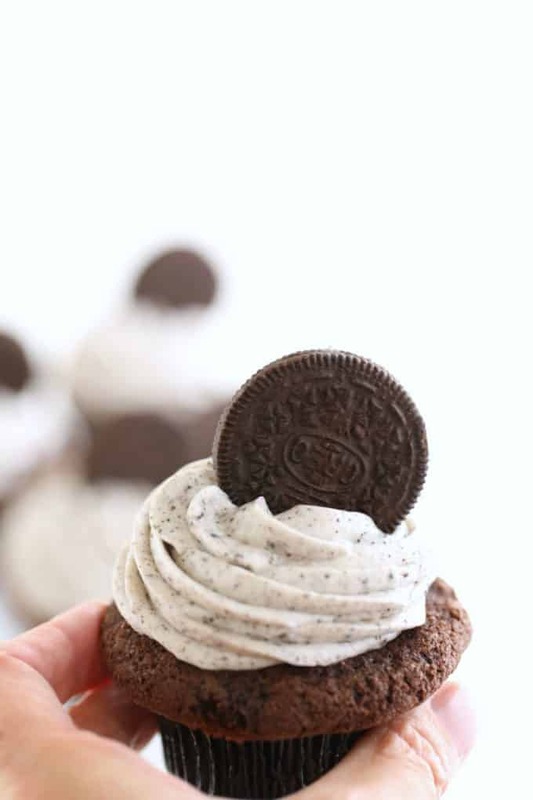 The filling of the Oreos makes this frosting extra creamy alternatively, you can purchase oreo crumbs in some stores and use those, but the filling adds to the flavor of these. 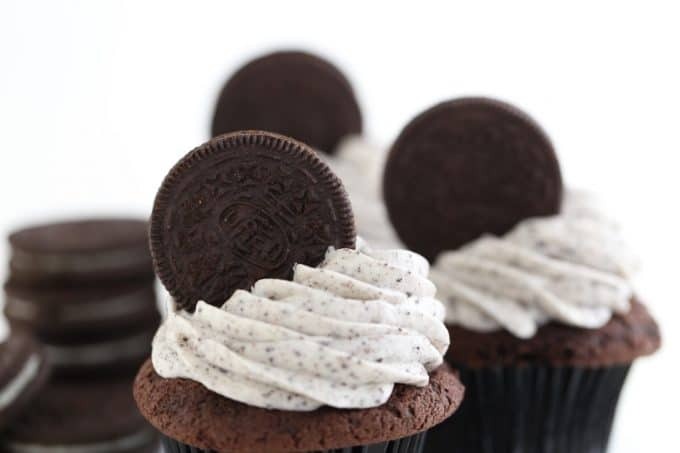 Pipe the frosting onto the cupcakes with a large star-shaped tip and top them off with an Oreo. Click for my favorite chocolate cupcake recipe here. I used dutch cocoa in these and the rich chocolate flavor is great. If you want the cupcakes to have the really dark “Oreo” flavor look for “Black Onyx Cocoa, it’s wonderful. 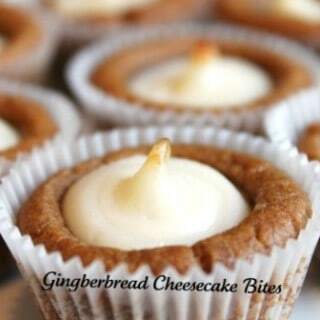 I’ve made cupcakes with it and everyone loved them. See anything you like, be sure to SHARE it 🙂 there are buttons for sharing on the top of the post that make it easy. 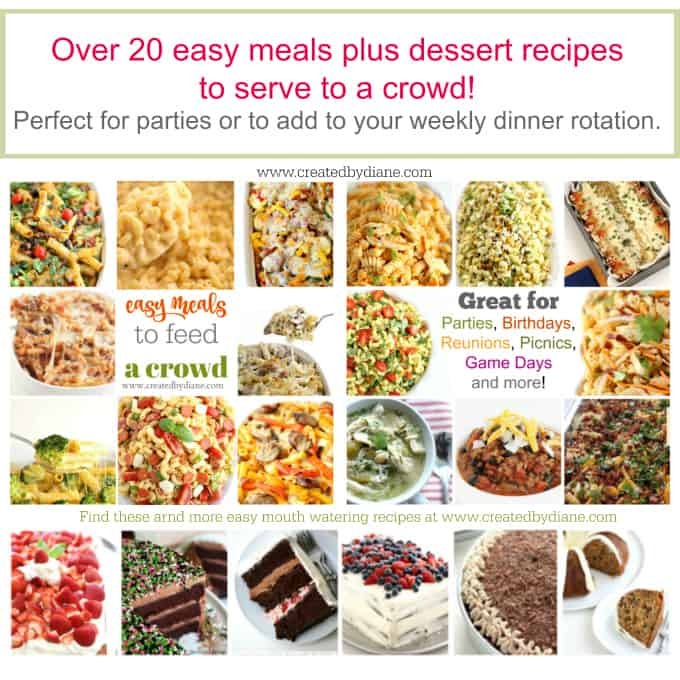 I’m gonna use this recipe for thanksgiving party, it sounds great! 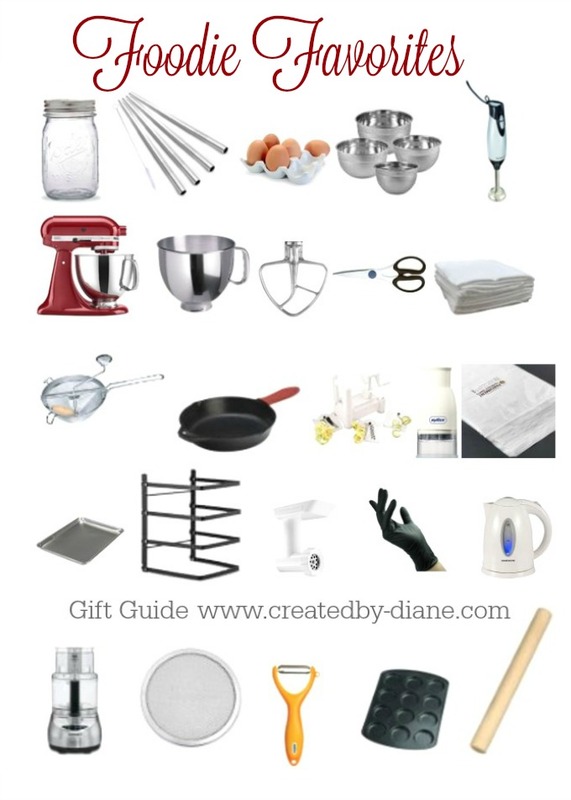 I need to cover a sheet cake how much frosting should I need? One batch of this frosting recipe will cover about a 9×13, multiply the recipe if your sheet cake is larger, or you want thicker frosting. This frosting recipe won’t work with regular granulated sugar, it won’t dissolve and will end up just being gritty. 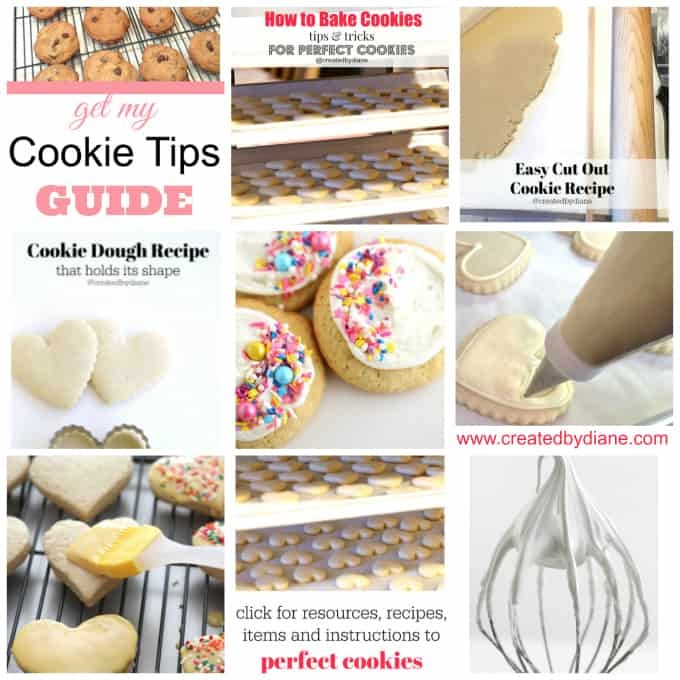 Take a look at this recipe for my Italian Buttercream Frosting, it’s silky smooth and made with granulated sugar, it takes a few more steps, but WOW is it worth it, it’s delicious, just add the chopped oreos to this recipes. I typically use salted butter, as I don’t like my frosting overly sweet. Use the butter you prefer the taste of in desserts. 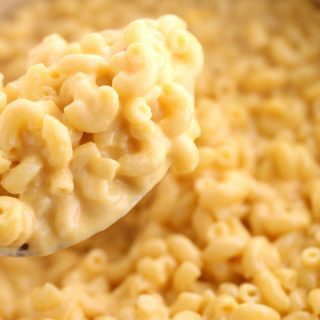 Please is it possible to use margarine in place of the butter? Or it strictly has to be butter. for buttercream frosting to have a great flavor, I use butter. I have used 1/2 butter and 1/2 shortening. I have not made frosting with margarine, but think it should work fine. You could try it with all margarine or 1/2 margarine and 1/2 shortening if margarine is too soft in texture. I myself prefer that taste of butter in frosting 😉 hope it works out for you. Can you leave this out overnight? Should I refrigerate? Very sweet, but the kidos wont care tomorrow. yes, you can leave these on the counter for 2 days, then I would refrigerate if there are any left. Why did my buttercream come out so thick? Oreos are my most favorite, and this is going on my must make list! Amazing! Oreos are my kids most favourite. I’m going to use your recipe for my daughter’s birthday party. They will definitely love for sure. 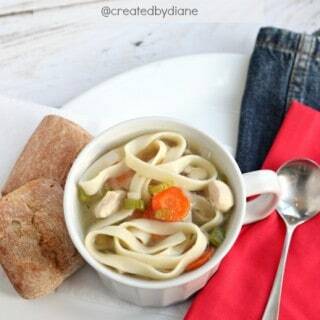 Thanks for sharing this excellent recipe and please keep sharing. Hi, 1/2 cup butter is how many grams? I googled it, it says 1/2 cup is 115 grams. But double check to be sure you think it’s accurate. In the US 1 stick of butter is 1/2 cup which is also 1/4 pound.